Thank you to Bathurst and Oberon Accessible Living Options group and their carers – about 25 people – for visiting the library to check out the library and the Viv Kable museum. 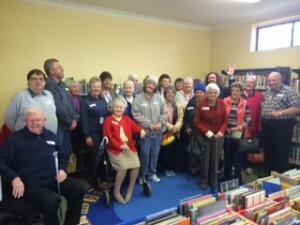 Ruth hosted a tour of the library and let them know about all the services offered. We hope they all enjoyed their visit and lunch at the Exchange Hotel. See you next time.